When a family member is lost in a fatal car accident or semi-truck crash, the shock is overwhelming and grieving and practical matters including funeral arrangements are foremost. Let attorney Chad Lawrence advise you on your legal options and handle any wrongful death lawsuit. If your loss is due to someone's carelessness or negligence, you should recover compensation for the variety of things you have lost. Florida state law lists damages for which you can recover. These include the income your family member would have brought into the family, loss of support and services, loss of companionship, and loss of parental companionship among other things. Only the spouse or children under 25 have the legal right to bring a wrongful death claim. Did a careless or drunk driver take the life of your loved one? Did a manufacturing defect in one of the cars contribute to the loss of life? An experienced lawyer, Chad Lawrence will leave no stone unturned in seeking the maximum compensation to help you carry on. If an air bag failed to deploy, or a fuel tank exploded, this may indicate negligence on the part of marketers or manufacturers such as Ford, Toyota or other companies. A product liability action may be in order. 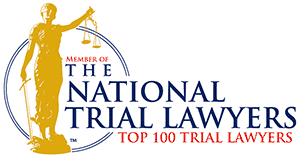 If so, future deaths and injuries could be avoided, as these defendants remedy the defects. Mr. Lawrence is an established, respected and successful attorney advocating on behalf of injury victims and the families of those killed due to negligence. He is admitted to practice in the states of Florida and Michigan, the U.S. District Court for the 18th Circuit, the U.S. Court of Appeals for the 8th Circuit, and the U.S. Supreme Court. He is a member of the Florida Academy of Trial Lawyers, the American Association for Justice, formerly the Association of Trial Lawyers in America, and the Florida, Michigan, and American Bar Associations. Call 407-738-4866 or 888-Mr-Lawrence, or contact us online.